Just A Car Guy: Standing ovation for bus driver Tim Watson, who noticed a kidnapped 3 year old, and got the cops on the case in time to arrest the kidnapper! Standing ovation for bus driver Tim Watson, who noticed a kidnapped 3 year old, and got the cops on the case in time to arrest the kidnapper! The Milpitas, (near San Jose) Calif., Police Department said the three-year-old boy was at the library with his mother when he wandered off. Lt. Raj Maharaj said the mother only turned her back for a moment and the boy wandered off. Witnesses said that the boy was seen being led away by a man in his 20s who was wearing a hooded sweatshirt and appeared to be homeless. 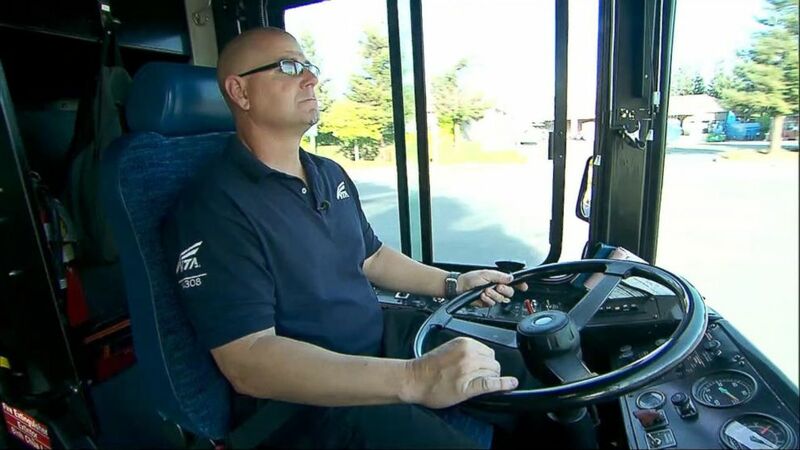 Police sent out an alert and began a search - soon after, they received word from Valley Transit Authority bus driver Tim Watson, who believed the suspect and the boy were on his bus headed to the Fremont train station.